We are focused on the health of our school environment. Our school district has established nutrition standards for all snacks sold in school by any entity, including parent/student organizations, teachers, boosters, fundraisers, or the food and nutrition services department. These standards for snack sales are in effect from any time before school through 1/2 hour after school, in accordance with the Healthy Hunger-Free Kids Act, the USDA, and our district Wellness Policy. Non-compliant foods may be sold from 1/2 hour after school through the end of the day. These standards carefully balance science-based nutrition guidelines with practical and flexible solutions to promote healthier eating on campus. Students in our district are offered healthier school meals with more fruits, vegetables, and whole grains through the National School Lunch and Breakfast Program. The Smart Snacks in School standards published by the USDA will build on those healthy advancements by ensuring that all other snack foods and beverages available for sale to students in the school are tasty and nutritious. Maybe if I add some text here that might make a difference. Check your Smart Snack Calculator here! There are plenty of fun ways to liven up snack time using healthy fruits, vegetables, and cheeses. 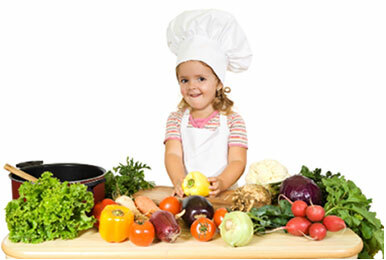 Kids will love creating and eating fun-to-make snacks with you in the kitchen! Click on the image to the right to watch a video to learn about some fun and healthy snack ideas that you can make with your kids in the kitchen.